Sometimes, it's better to just laugh it off. Nadine Lustre and James Reid are most likely pros in handling the most ridiculous rumors that come their way at a daily basis. But facing these issues head on can sometimes be a family affair. Take Daddy Malcolm (James' dad) and Nadine, for example. 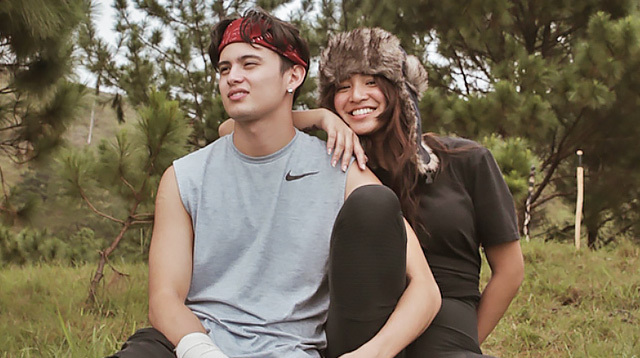 In a video posted on Instagram, James mockingly responded to Nadine's rumored pregnancy issue by saying, "It is true. I'm pregnant." But what's more interesting, though, was the conversation happening in the background. Earphones on, people! According to the IG video transcript, the voices heard in the background are Nadine's and Daddy Malcolm's. In the video, the two discussed the issue rather lightly: "So, darling, do you have any idea if you're having a boy?" Malcolm quipped. Nadine then replied, "I'm not pregnant. ""Timing," Daddy Malcolm joked. "And you should be within the next month." Nadine then let out a big laugh. But this isn't the first time that their relationship received heat from bashers. In an interview in June, Nadine was asked about her reaction to the lies being spread about her and James, "Depende. May times na dedma. May times talaga na kailangan mag-speak up ka." Shortly after putting the issue to rest, she clapped back at those who hated on her views about living in with her now-infamous line, "C'mon guys, it's 2017."